With high unemployment and jobseekers fighting for fewer and fewer jobs it's never been more important to get an edge when looking for that next career move. The right experience and qualifications, a good CV and a nicely worded covering letter are no longer enough - they are the bare minimum! In this book Simon Gray explains how to get ahead, what to do and - just as crucially - what not to do in order to win in the highly competitive job race. He also explores the psychology of looking for a job and divulges his revolutionary techniques to get noticed and employed in a crowded market. 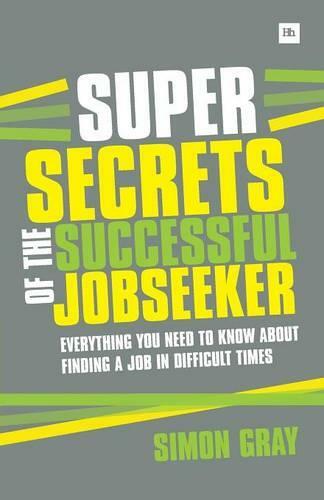 If you are looking for a job or planning to change career this is the book you can't afford not to read!